He immortalized the song “My Kind Of Town” and it was… his kind of town. So much so that it often feels like Frank Sinatra is still hanging around Chicago. As if he always “just left” but could pop up back up almost anywhere. From the faded framed pictures in bars and restaurants to the urban legends and hearsay of walking tours, here is your guide to enjoying Chicago, Sinatra-style. Well, if you are Frank, you always want to be asked to sing. But, because you are not Frank, your best bet for belting out your rendition of Chicago, Chicago is at karaoke. Blue Frog Bar & Grill downtown is affectionately known for it’s raucous but friendly crowd. A little further south in The Loop, is Brando’s Speakeasy which hosts karaoke Wednesday through Saturday beginning at 7PM. Expect a wait on busy nights or reserve your own private karaoke room at Lincoln Karaoke. If you’d rather perform at an outdoor venue, why not sing Sinatra’s Love and Marriage at Buckingham Fountain in Grant Park? The fountain was in the opening credits of the 90’s sitcom “Married with Children” while Sinatra’s Love and Marriage was its theme song. Depending on your budget, you can buy lots of gifts for you and friends just like Francis would have. If you, like Frank, don’t concern yourself with little things like money, you can surprise your best friends (like Sammy Davis Jr.) with a Cartier watch from Michigan Avenue’s Magnificent Mile. Not qu ite there yet? Spend time looking for the perfect orange (Frank’s favorite color) handkerchief to tuck in your suit pocket. Hermes in Gold Coast is known for their exquisite scarfs and accessories while boutiques like Mr. & Mrs. Digz carries both new and vintage designer options. Another fun option is soap shopping. Yep. Never one to like copious amounts of cologne or perfume, Blue Eyes simply enjoyed the smell of soap. Yardley’s English Lavender to be specific. Sniff away and find your favorite soap flavor at Sabon in Gold Coast or Merz Apothecary in Lincoln Square. In a rush? Want something more casual? How about some barbecue ribs? Twin Anchors in Lincoln Park has been serving up some of the best for decades now. And of course, like any man’s man, this gentleman enjoys a prime cut of beef, grilled to perfection at one of Chicago’s famed steakhouses. Gibsons Bar & Steakhouse has a Sinatra-esque ambiance in Gold Coast and Mastro’s Chicago bar has long been my “go-to” spot when I want to get dressed up, and meet interesting people. Not only did he break hearts, he broke legs. Even at 5’7″ tall, Frank was never one to back down from a fight. “When a guy bothers me, I belt him” he’d say. Whoa. Brush up on your jab and duck at a boxing gym like LA Boxing in Wrigleyville and go out feeling like you have Security, but you don’t need Security. When you and/or Frank get enough carousing and are ready to return to alter boy roots, Holy Name Cathedral is a beautiful Catholic church Near North Side. 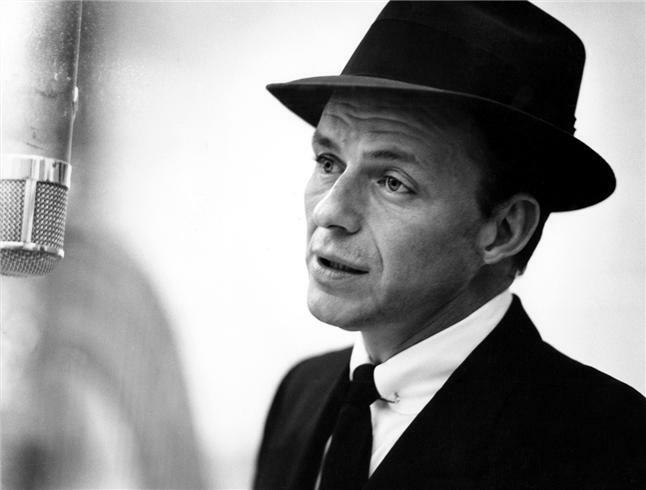 Mr. Sinatra played hard and prayed hard. He’s been known to give the advice of slipping your Mary Janes (shoes) in between couch cushions for one final buff, but I couldn’t find a venue in Chicago that wants to promote cushion shoe buffing, so you are on your own finding a willing couch. Fortunately, you don’t need shoes at all, at the pool. Sinatra would say that his idea of a vacation is to put the watch in a drawer and sit by the pool for a few days. Not a bad idea, Frank. East Bank Club in downtown Chicago is known for both its indoor and outdoor pools and sells guest passes for visitor access. However, you may not need to pay extra for a guest pass elswhere, if you choose to sleep at a swanky hotel, the way Sinatra did. Though very often out all night, Frank still appreciated the value and customer service of a fine hotel. Though many of the originals have been replaced or upgraded, Public Chicago, Millennium Knickerbocker Hotel Chicago, The Drake and Palmer House all claim Ol’ Blue Eyes as a valued guest. So. He sleeps after all. Wanna print this article out? 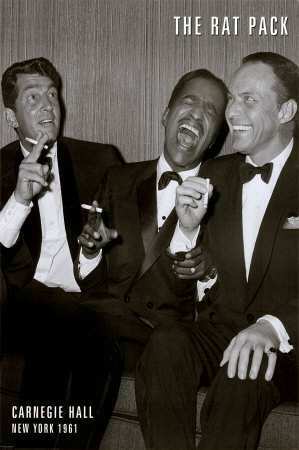 Special thanks to Stan Wozniak and Bill Zehme for instilling a love and appreciation in me for Frank Sinatra. He was one cool bird.